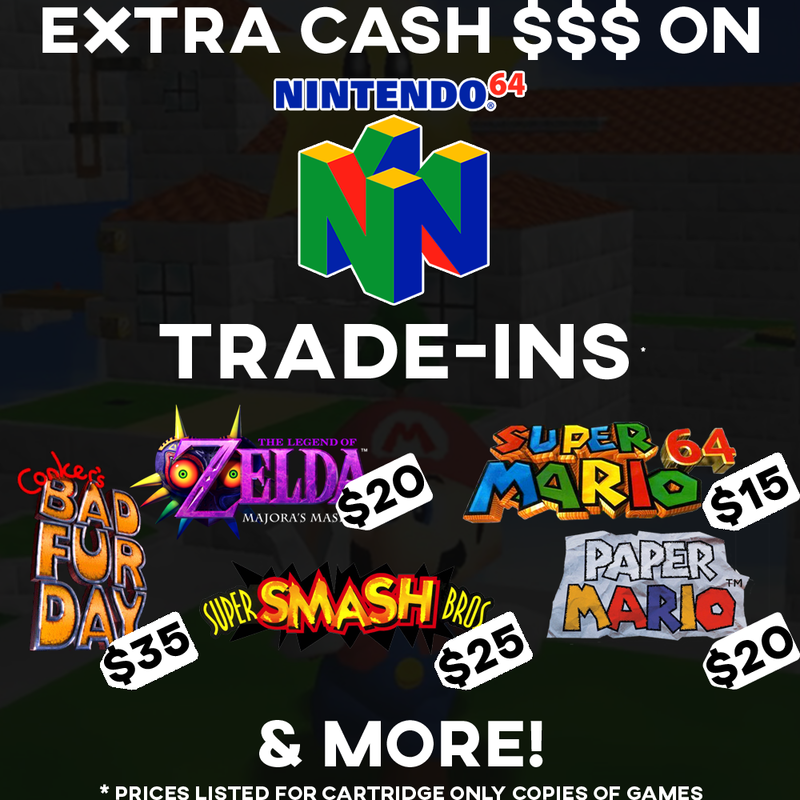 We're running a promotion from July 14th 2018 to July 31st 2018 where you can bring in your N64 games and get more in cash then you would normally get. These offers are above the normal amount we would usually give for these games! For full price of Complete in Box offer, the game must include disk, box, box art, and manual. Game Only only requires the game cartridge.